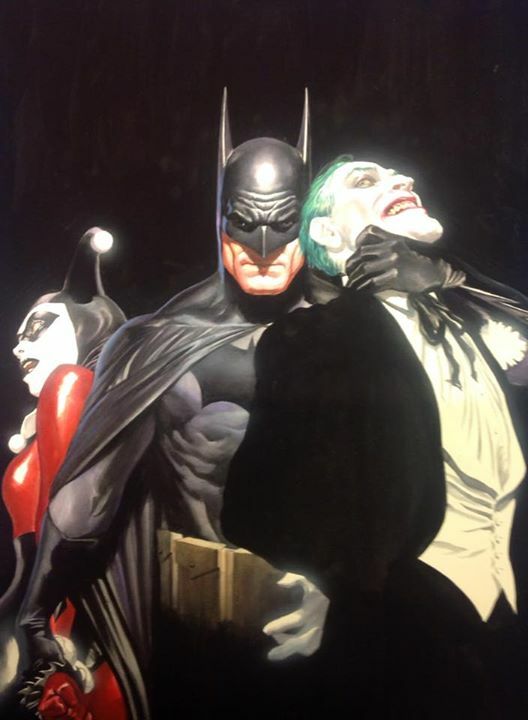 In what will certainly be another desired masterpiece that fans of DC Comics and Batman will want to sink their hands into, legendary comic book artist/ painter Alex Ross has unveiled via his Facebook page a brand new piece featuring The Dark Knight and his adversaries in The Joker and Harley Quinn, as he quickly interrupts their sinister dance and apprehends them in an artwork Ross likes to call “Mind If I Cut In“. 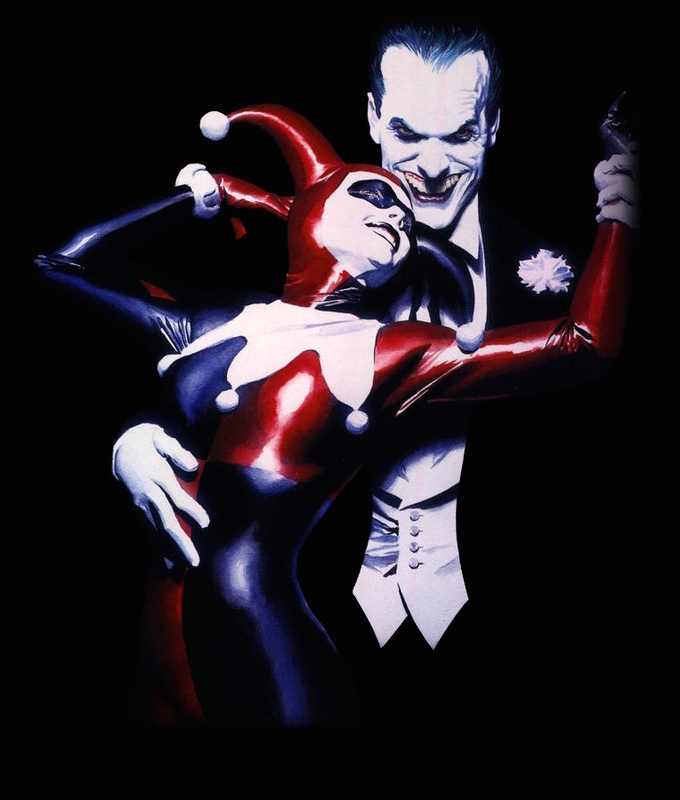 If the setup looks familiar to those with an eye for Ross’ past works, that’s because the new artwork is a sequel to the 2003 painting called “Tango With Evil“, where The Clown Prince of Crime and his deranged girlfriend literally dance away without a care in the world. It’s fitting enough that “Mind If I Cut In” will make its debut in this year’s San Diego Comic Con, where Ross will display the new work in his booth during the convention’s run from July 9-12. Previous articleMarvel introduces the “All-New, All-Different” Amazing Spider-Man!